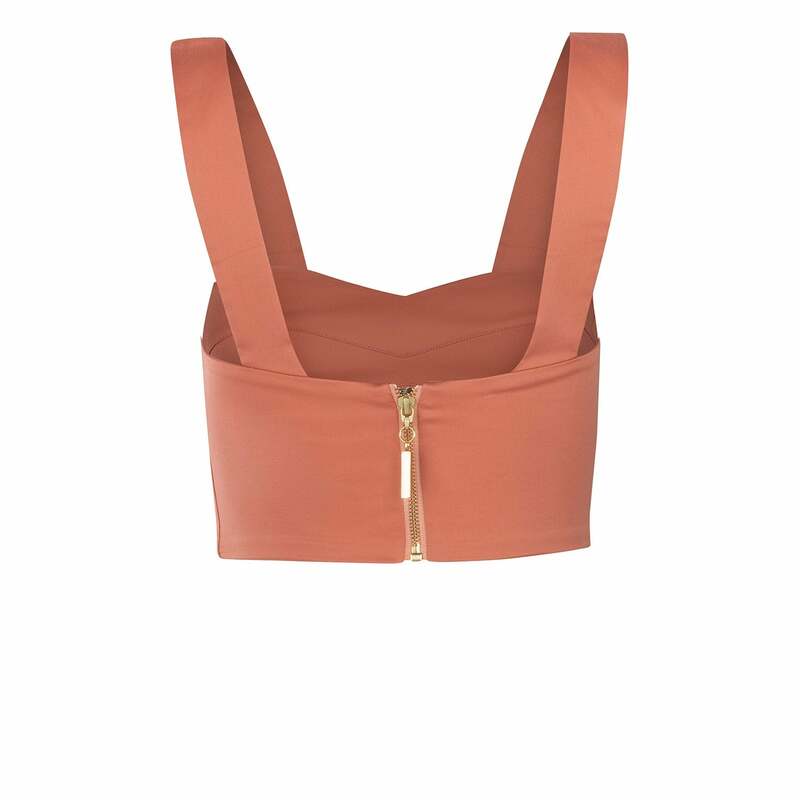 Because the summer wouldn’t be complete without a crop top, our bestselling Agnello is back in a beautiful salmon shade that looks even lovelier with a great tan. Great on its own or layered over a long-sleeved solid blouse, this versatile piece sits just below the bust and has sweetheart neckline and thick straps at the shoulders. A golden zipper in the back not only looks chic against the light coral tone, but also ensures a seamless, figure-hugging fit. Pair the Agnello with the Tomillo skirt in green for a picture-perfect summertime look.